This biography of a living person needs additional citations for verification . Please help by adding reliable sources. Contentious material about living persons that is unsourced or poorly sourced must be removed immediately, especially if potentially libelous or harmful. 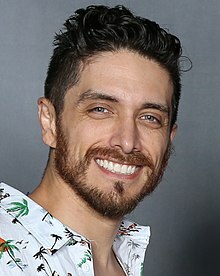 Joshua Luis Wiener (born February 8, 1979), known by his stage name Josh Keaton, is an American actor, voice actor and singer. He is known for his roles as Takashi 'Shiro' Shirogane in Voltron: Legendary Defender , Spider-Man in The Spectacular Spider-Man , Electro in Marvel's Spider-Man , Jack Darby in Transformers: Prime and the adolescent Hercules in the film Hercules . Takashi 'Shiro' Shirogane is a fictional character in the media franchise Voltron and leader of the Voltron Force who made his first appearance in Voltron: Legendary Defender. Voltron: Legendary Defender is an American animated mecha web television series produced by DreamWorks Animation Television and World Events Productions and animated by Studio Mir. It is a reboot of the Voltron franchise and Japanese anime series Beast King GoLion, and its animation is a mix of anime-influenced traditional animation for characters and background and CGI for Voltron action sequences. Voltron: Legendary Defender is set in a science fiction universe where planetary energy called "quintessence" can be used to power vehicles and magic. The series follows the adventures of the Paladins of Voltron who must learn to work together to form the giant robot Voltron and use it to defeat the evil Galra Empire. 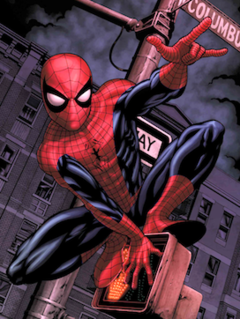 Spider-Man is a fictional superhero created by writer-editor Stan Lee and writer-artist Steve Ditko. He first appeared in the anthology comic book Amazing Fantasy #15 in the Silver Age of Comic Books. He appears in American comic books published by Marvel Comics, as well as in a number of movies, television shows, and video game adaptations set in the Marvel Universe. In the stories, Spider-Man is the alias of Peter Parker, an orphan raised by his Aunt May and Uncle Ben in New York City after his parents Richard and Mary Parker were killed in a plane crash. Lee and Ditko had the character deal with the struggles of adolescence and financial issues, and accompanied him with many supporting characters, such as J. Jonah Jameson, Flash Thompson, Harry Osborn, romantic interests Gwen Stacy and Mary Jane Watson, and foes such as Doctor Octopus, Green Goblin and Venom. His origin story has him acquiring spider-related abilities after a bite from a radioactive spider; these include clinging to surfaces, shooting spider-webs from wrist-mounted devices, and detecting danger with his "spider-sense". Hacienda Heights is an unincorporated suburban community and census-designated place in Los Angeles County, California, United States. As of the 2010 census, the community had a total population of 54,038, up from 53,122 at the 2000 census. Hacienda Heights is the second largest census designated place in Los Angeles County by area and the county's second largest CDP by population. Brooklyn is the most populous borough of New York City, with an estimated 2,648,771 residents in 2017. Named after the Dutch village of Breukelen, it borders the borough of Queens at the western end of Long Island. Brooklyn has several bridge and tunnel connections to the borough of Manhattan across the East River, and the Verrazzano-Narrows Bridge connects Staten Island. Since 1896, Brooklyn has been coterminous with Kings County, the most populous county in the U.S. state of New York and the second-most densely populated county in the United States, after New York County. Lima is the capital and the largest city of Peru. It is located in the valleys of the Chillón, Rímac and Lurín rivers, in the central coastal part of the country, overlooking the Pacific Ocean. Together with the seaport of Callao, it forms a contiguous urban area known as the Lima Metropolitan Area. With a population of more than 9 million, Lima is the most populous metropolitan area of Peru and the third-largest city in the Americas, behind São Paulo and Mexico City. His career has included television, video game and film work, with a mixture of live acting and voice work for animations. As an infant, he appeared in an OshKosh B'gosh commercial. He was in the 1990s boy band No Authority and was signed to MJJ Music and later RCA Records as a solo artist. OshKosh B'gosh is an American children's apparel company founded in Oshkosh, Wisconsin, in 1895. It is a subsidiary of Carter's. No Authority, was an American boyband, who was signed to Michael Jackson's record label MJJ music. They are known for their singles, "Don't Stop", "Girlfriend", and "Can I Get Your Number". RCA Records is an American record label owned by Sony Music, a subsidiary of Sony Corporation of America. It is one of Sony Music's four flagship labels, alongside RCA's former long-time rival Columbia Records, Arista Records, and Epic Records. The label has released multiple genres of music, including pop, classical, rock, hip hop, electronic, R&B, blues, jazz, and country. Its name is derived from the initials of its defunct parent company, the Radio Corporation of America (RCA). It was fully acquired by Bertelsmann in 1986, making it a part of Bertelsmann Music Group (BMG); however, RCA Records became a part of Sony BMG Music Entertainment, a merger between BMG and Sony Music, in 2004, and was acquired by the latter in 2008, after the dissolution of Sony BMG and the restructuring of Sony Music. It is the second oldest record label in American history, after sister label Columbia Records. Keaton voiced Jules Brown in Back to the Future: The Animated Series during 1991/1992 and Major Ocelot during Metal Gear Solid 3: Snake Eater and Metal Gear Solid: Portable Ops . From 2008 to 2009, he voiced Spider-Man in The Spectacular Spider-Man animated series on The CW. He was originally supposed to voice Spider-Man in the 2002 Spider-Man video game but his voice work was scrapped and reworked as Harry Osborn / Green Goblin when Tobey Maguire came on to voice the character. He also reprised the role of Harry Osborn in the 2007 video game Spider-Man: Friend or Foe , and Spider-Man again in the video games Spider-Man: Shattered Dimensions , Marvel vs. Capcom 3 , and Spider-Man: Edge of Time . Back to the Future is an American animated science fiction comedy adventure television series for television based on the live action Back to the Future movie trilogy. The show lasted two seasons, each featuring 13 episodes, and ran on CBS from September 14, 1991, to December 26, 1992, and reran until August 14, 1993, on CBS. The network chose not to renew the show for a third season. It later reran on FOX, as a part of the FoxBox block from March 22 to August 30, 2003. It was the very first production of Universal Cartoon Studios. Revolver Ocelot is a recurring character in Konami's Metal Gear video game series. He takes on a variety of roles: a major nemesis to Solid Snake, a friendly rival to Naked Snake, a henchman of Liquid Snake, the right-hand man of Solidus Snake, and a close ally to Venom Snake. The character has been well received by video game publications for his role as a central villain and antihero in the franchise and has often been considered one of its most important characters for his connections with various characters. 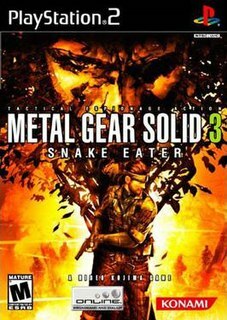 Metal Gear Solid 3: Snake Eater is an action-adventure stealth video game produced by Konami Computer Entertainment Japan for the PlayStation 2. It was released in late 2004 in North America and Japan, then in early 2005 in Europe and Australia. It was the fifth Metal Gear game written and directed by Hideo Kojima and serves as a prequel to the previous installments. In 2011, Keaton is the current voice for Spyro the Dragon in the Skylanders reboot of the franchise, Jack Darby and Tailgate on Transformers: Prime , and Hal Jordan / Green Lantern in Green Lantern: The Animated Series . Transformers: Prime is an American computer-animated superhero television series based on the Transformers toy franchise by Hasbro that aired on Hub Network from November 29, 2010 to July 26, 2013. Transformers: Prime focuses on the superheroic Autobots of "Team Prime", which consists of Optimus Prime, Ratchet, Arcee, Bumblebee and Bulkhead. Throughout their battles, the Autobots are aided by three human children and with their help attempt to protect the Earth from the villainous Decepticons and their leader Megatron. Hal Jordan, also known as Green Lantern, is a fictional superhero appearing in American comic books published by DC Comics. The character was created in 1959 by writer John Broome and artist Gil Kane, and first appeared in Showcase #22. Hal Jordan is a reinvention of the previous Green Lantern who appeared in 1940s comic books as the character Alan Scott. 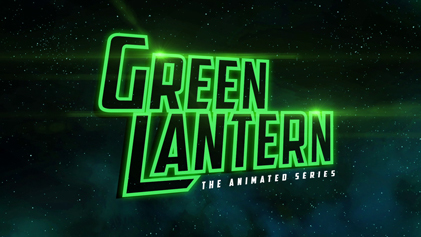 Green Lantern: The Animated Series is an American computer-animated television series based on the DC Comics superhero Green Lantern. The series aired on Cartoon Network, as part of their "DC Nation" television block. A one-hour sneak peek aired on November 11, 2011, it ran from March 3, 2012, until March 16, 2013. A special screening of the first episode was shown at New York Comic Con 2011 on October 15, 2011. This was the first Green Lantern television series and the first CGI DC/WB series. The series was cancelled after one season due to poor toy sales after the negative reception of the live-action film. 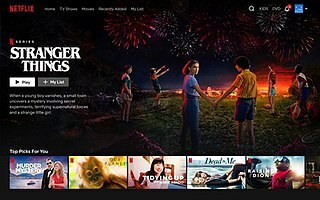 Netflix, Inc. is an American media-services provider headquartered in Los Gatos, California, founded in 1997 by Reed Hastings and Marc Randolph in Scotts Valley, California. The company's primary business is its subscription-based streaming OTT service which offers online streaming of a library of films and television programs, including those produced in-house. As of January 2019, Netflix had over 139 million paid subscriptions worldwide, including 60.55 million in the United States, and over 148 million subscriptions total including free trials. It is available almost worldwide except in mainland China as well as Syria, North Korea, Iran, and Crimea. The company also has offices in the Netherlands, Brazil, India, Japan, and South Korea. Netflix is a member of the Motion Picture Association of America (MPAA). 1991 Captain Planet and the Planeteers Pontus Ep. "A World Below Us"
1998 Adventures from the Book of Virtues Sean Willis, Sir Roland Ep. "Trustworthiness"
2005 The Grim Adventures of Billy & Mandy Driver, Zombie #2, Vendor Ep. "Jeffy's Web/Irwin Gets a Clue"
2011 Sym-Bionic Titan Ian Ep. "Disenfranchised"
2013 Hero Factory William Furno Ep. "Brain Attack"
2013 Doc McStuffins Johnny Foosball Ep. "Think Pink/You Foose, You Lose"
1989–90 Kidsongs Himself Videos: "A Day at Camp" and "Ride the Roller Coaster"
1994 Someone Like Me Doug Episode: "El Presidente"
1995 Sister, Sister Franklin Episode: "It's a Party Thang"
1996 Saved by the Bell: The New Class Glee Club #2 Episode: "Fire at the Max: Part 1"
1997 Chicago Hope Will Peters Episode: "The Son Also Rises"
1997 Baywatch Todd Rose Episode: "Rendezvous"
1999 Step by Step Will Peters Episode: "Just Say Maybe"
1999 Touched by an Angel Young Nick Stratton Episode: "Made in the U.S.A."
2002 Boston Public Martin Andrews Episode: "Chapter Thirty-Four"
2002 ER Greg Episode: "Tell Me Where It Hurts"
2006 Bones Yasutani the Terrible Episode: "The Superhero in the Alley"
2014 Scorpion Phil Daniels Episode: "True Colors"
James Arnold Taylor is an American voice actor, known for portraying Ratchet in the Ratchet & Clank franchise; the main character Tidus in Final Fantasy X; and Obi-Wan Kenobi in the Star Wars animated features such as Star Wars: The Clone Wars and the franchise's video games. Steven Jay Blum is an American voice actor of anime, animation and video games known for his distinctive deep voice. 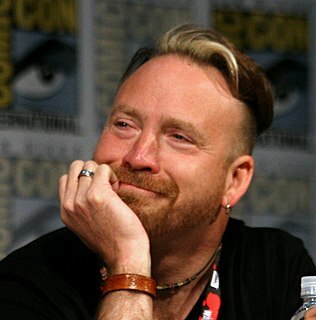 He provides the voice of TOM, the host of Cartoon Network and Adult Swim's Toonami programming block. Some of his major roles in anime include Spike Spiegel in Cowboy Bebop, Mugen in Samurai Champloo, Eikichi Onizuka in Great Teacher Onizuka, Guilmon and Mitsuo Yamaki in Digimon Tamers, Shishio Makoto in Rurouni Kenshin and Orochimaru and Zabuza Momochi in Naruto. 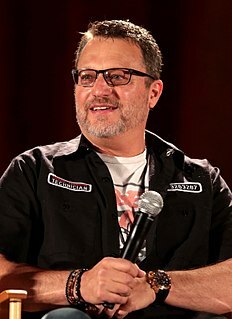 In animation, he has voiced Vilgax, Heatblast and Ghostfreak in Ben 10, Starscream in Transformers: Prime, Wolverine in Wolverine and the X-Men, Zeb Orrelios in Star Wars Rebels and Amon in The Legend of Korra. He was also awarded the Guinness World Record for being the most prolific video game voice actor in 2012, with roles in franchises such as Call of Duty, God of War, Tom Clancy's Ghost Recon, Naruto, Transformers and X-Men. In 2014, he voiced Shoe and Sparky in the animated film The Boxtrolls. In 2015, he appeared in The Incredible True Story, a rap album by Logic. Rino Romano is a Canadian voice actor who has voiced Batman in the animated TV series The Batman, Spider-Man in the animated TV series Spider-Man Unlimited and the PlayStation Dreamcast Nintendo 64 and Game Boy Color video game Spider-Man, Eduardo Rivera in Extreme Ghostbusters, Luis Sera in Resident Evil 4, Scorp in the Skylanders franchise and the original Tuxedo Mask in the '90s English dub of the anime series Sailor Moon. Kevin Michael Richardson is an American actor and voice actor, who has played a multitude of characters in animated series and video games. He is known for his distinctively deep voice and has been playing mostly villainous characters since the 1990s. For voicing the Joker in The Batman (2004–08), he was nominated for two Daytime Emmy Awards. Salli Saffioti is an American actress and voice-over artist known for voicing roles in video games including Ingrid Hunnigan in Resident Evil 4, Resident Evil: Degeneration, Resident Evil: Damnation, and Resident Evil 6, Ming in Lost Odyssey, the Sea Captain's daughter in Tales of the Black Freighter, Razia in Prince of Persia: The Forgotten Sands and the Black Widow in Spider-Man: Web of Shadows. First Arcanist Thalryssa in World of Warcraft: Legion. In the Monster High franchise, she voices main characters Clawdeen Wolf and Cleo de Nile, which in later video installments she goes under the stage name Celeste Henderson. She also goes under this name for non-union productions. Christopher Edgerly is an American voice actor, comedian and singer. Trevor Devall is a Canadian voice actor, actor and podcaster. He worked for Ocean Studios and various other studios in Vancouver, British Columbia, Canada for years, before he relocated to Los Angeles, California in 2013. He is best known for voicing Hot Dog in Krypto the Superdog, Rocket Raccoon in the animated TV series Guardians of the Galaxy, Emperor Palpatine in Lego Star Wars, Pyro in X-Men Evolution, Dukey in seasons 5 and 6 of Johnny Test, and various characters in the Netflix original series F Is for Family, as well as providing voices in English-language versions of various anime series, most notably as Mu La Flaga from Mobile Suit Gundam SEED, Mukotsu from InuYasha, Scourge from Transformers: Cybertron, Mr. Chang from Black Lagoon, and Aizawa from Death Note. He also voiced Hermiod on Stargate Atlantis and Ravus Nox Fleuret in the Final Fantasy XV video game and Kingsglaive: Final Fantasy XV feature film. Other than that, he voiced Mars in Dota 2 video game. On camera, he played Sir Atticus Moon in Big Time Movie. Laura Bailey is an American actress who provides voices for English-language versions of anime, animation and video games. Her debut roles in anime were as Kid Trunks and Kid Dende in the Funimation dub of Dragon Ball Z. She has also voiced Tohru Honda in Fruits Basket, Lust in Fullmetal Alchemist and Fullmetal Alchemist: Brotherhood, Shinnosuke "Shin" Nohara in the Funimation dub of Crayon Shin-chan and Maka Albarn in Soul Eater. 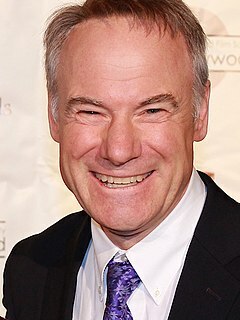 James Ross Meskimen is an American stand-up comedian, actor, voice actor and impressionist. He is also known for his voice-over work in video games. Travis Hampton Willingham is an American actor who provides voices in English-language versions of anime, animation and video games. He rose to fame in the voice acting world for his portrayal of Roy Mustang in Fullmetal Alchemist and also reprised the role in Fullmetal Alchemist: Brotherhood. His roles include Ginko in Mushishi, Cleo in Glass Fleet, Yu Kanda in D.Gray-man, Portgaz D. Ace in the Funimation dub of One Piece and Takashi Morinozuka in Ouran High School Host Club. He also voices Thor in a variety of Marvel cartoons and video games and King Roland II in the Disney Junior hit show Sofia the First. Since 2010, he has been the current voice of Knuckles the Echidna from the Sonic the Hedgehog series. He is a cast member of Critical Role, a series in which he and fellow voice actors participate in Dungeons & Dragons gaming sessions. Kimberly Brooks is an American actress who works in the voice-over, film, video games, and theatre industry. She has voiced in video games since the mid-1990s. Kimberly has played Ashley Williams in the Mass Effect series, Buena Girl from ¡Mucha Lucha!, Shinobu Jacobs in No More Heroes and No More Heroes 2: Desperate Struggle, Princess Allura from Voltron: Legendary Defender, Mee Mee in Dexter's Laboratory, and Luna in the Scooby-Doo franchise as part of the Hex Girls. Neil Kaplan is an American voice actor, entertainer and comedian. He is known for voicing Madara Uchiha in Naruto: Shippuden, Genryūsai Shigekuni Yamamoto in Bleach, Optimus Prime in Transformers: Robots in Disguise and main villain Emperor Zarkon in Voltron: Legendary Defender. Robin Atkin Downes is an English actor and voice actor, who is primarily known for his work in animation, live-action and video games. Frederick Tatasciore (; born June 15, 1967) is an American voice actor. Nolan Ramsey North is an American actor and voice actor. His voice-work includes characters such as Nathan Drake from the Uncharted series, Desmond Miles from the Assassin's Creed series, Ghost from Bungie's titles Destiny and Destiny 2, the Penguin in the Batman: Arkham franchise, Palawa Joko from Guild Wars 2, Meepo the Geomancer in Dota 2, David in The Last of Us, Cpt. Martin Walker in Spec Ops: The Line, Deadpool in various media, Superboy in Young Justice, himself as one of the voices for the Boss in Saints Row IV and Edward Richtofen in the Call of Duty Aether storyline. He also voices the title character from the animated television series Blaze and the Monster Machines on Nick Jr.
Michael David Donovan is a Canadian voice actor and director known for his voice on the series Conan the Adventurer where he played the lead role of Conan. He is also known for his work as the voices of Phong, Mike the TV, Cecil, and Al on ReBoot. Troy Edward Baker is an American actor and musician known for portraying the lead characters in various video games. His most notable voice-over performances are as Joel in The Last of Us, Kanji Tatsumi in Persona 4, Booker DeWitt in BioShock Infinite, the Joker in Batman: Arkham Origins, Batman in other titles, Delsin Rowe in Infamous Second Son, Sam Drake in Uncharted 4: A Thief's End and Uncharted: The Lost Legacy, Revolver Ocelot in Metal Gear Solid V: The Phantom Pain, Pagan Min in Far Cry 4, Rhys in Tales from the Borderlands, Logan Thackeray in Guild Wars 2 and Yuri Lowell in Tales of Vesperia. He has voiced in a number of English adaptations of Japanese anime shows, including Basilisk, Trinity Blood, Fullmetal Alchemist, One Piece, Bleach and Naruto: Shippuden. He also voices Hawkeye and Loki in several Marvel projects. Jean-Benoît Blanc is a French-British actor, voice actor and director who has worked on a number of cartoons, anime, and video games produced in the Los Angeles area. David Derrick "Dave" Boat is an American voice actor. He is active in animated series, commercials, films and video games. Tara Strong is a Canadian-American actress who has done voice work for numerous animations and video games and performed in various live-action productions. Many of her major voice roles include animated series such as Rugrats, The Powerpuff Girls, The Fairly OddParents, Drawn Together, Teen Titans and the spin-off series Teen Titans Go! and My Little Pony: Friendship Is Magic, as well as video games such as Mortal Kombat X, Final Fantasy X-2 and the Batman: Arkham series. Her portrayals have garnered nominations in the Annie Awards and Daytime Emmys and an award from the Academy of Interactive Arts & Sciences. In 2004, she won an Interactive Achievement Award for her role as Rikku in Final Fantasy X-2. She also served as the announcer for the 1999 Kids' Choice Awards, appeared as a guest panelist at several fan conventions and was featured on the front cover of the July/August 2004 issue of Working Mother magazine, in which she said, "My son is now old enough to respond to my work. To me, that's what it is all about." Strong has been nominated five times for Annie Awards. ↑ "Josh Keaton Interview - Young Ocelot" . Retrieved August 25, 2015. ↑ "Marvel Animation Age AMP TX News Presents Josh Keaton on the Spectavular Spider-Man". Archived from the original on 2012-09-13. 1 2 "Wondercon: Netflix's Voltron Animated Series Release Date Set, Voice Cast Announced". IGN. March 25, 2016. Retrieved March 26, 2016. ↑ Keaton, Josh [@joshkeaton] (February 22, 2010). "Justice League: Crisis on Two Earths comes out tomorrow! I'm the Flash and have a cameo as Aquaman. That's right, freaking AQUAMAN" (Tweet). Retrieved February 19, 2018– via Twitter. ↑ "The Laws of the Universe Anime Film Casts Dylan McDermott, Jennifer Beals, Tom Kenny". Anime News Network. September 26, 2015. Retrieved February 28, 2016. ↑ "LEGO Justice League: Cosmic Clash Movie Bluray With Cosmic Boy Minifigure Details - - Action Figures Toys News ToyNewsI.com" . Retrieved 24 August 2016. ↑ "NYCC: MARVEL'S ANT-MAN ANIMATED SHORTS COMING TO DISNEY XD". Comic Book Resources. ↑ Capcom (2004-04-27). Onimusha 3: Demon Siege . Scene: Closing credits, 0:45 in, cast. ↑ "Interview With Josh Keaton, Voice Of Spidey, Ocelot & Others". June 19, 2009. Retrieved August 29, 2015. ↑ Square Enix. Lightning Returns: Final Fantasy XIII . Scene: Closing credits, 5 minutes in, Voice Actors, Additional Voices. ↑ Sledgehammer Games. Call of Duty: Advanced Warfare . Scene: Credits, 3:00 in, Cast. ↑ Wilson, Matt D. (2014-07-31). "Laughing At The Joker: Adam West & Developers Talk 'LEGO Batman 3: Beyond Gotham'". Comics Alliance. Archived from the original on 2014-10-06. ↑ Day, Patrick Kevin (July 27, 2014). "Comic-Con 2014: 'Lego Batman 3′ will take players back to '60s Batman". Hero Complex. Los Angeles Times. ↑ LEGO Batman 3: Beyond Gotham - Behind the Scenes with the Cast and Characters (YouTube). GameSpot . July 28, 2014. ↑ Turbine, Inc. Infinite Crisis . Warner Bros. Interactive Entertainment. Scene: Credits, Voice Over Talent. ↑ "Infinite Crisis Credits". Archived from the original on 2014-10-11. ↑ Avalanche Studios. Mad Max . Warner Bros. Interactive Entertainment. Scene: Credits, 5:40 in, Talent. ↑ Vicarious Visions. Skylanders: SuperChargers . Activision. Scene: Closing credits, 7:13 in, Voice Actors. ↑ Traveller's Tales. Lego Dimensions . Warner Bros. Interactive Entertainment. Scene: Closing credits, 4:45 in, Voiceover Talent. ↑ The Odd Gentlemen. King's Quest - Chapter III: Once Upon A Climb . Sierra Entertainment. Scene: Closing credits, 1 min in, Cast. ↑ Blizzard Entertainment. World of Warcraft: Legion . Activision Blizzard. Scene: Closing credits, Voice Over Cast. ↑ "CAST｜PlayStation®4用サバイバルアクションゲーム - Let It Die". letitdie.jp (in Japanese). Retrieved March 17, 2018. ↑ Arkane Studios. Prey . Bethesda Softworks. Scene: Closing credits, Voice Talent. ↑ Digital Domain. DreamWorks Voltron VR Chronicles. Digital Domain. Scene: Shiro, Voice. ↑ Blizzard Entertainment. World of Warcraft: Battle for Azeroth . Activision Blizzard. Scene: Closing credits, Voice Over Cast. Wikimedia Commons has media related to Josh Keaton . "Can I Get Your Number"